platform easily by the SOP. Please follow the instruction to operate. 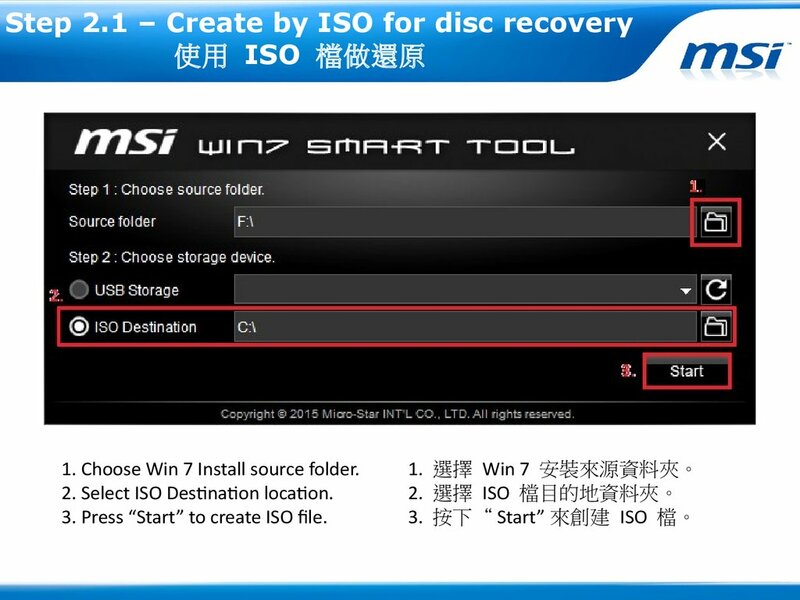 2.Prepare one USB Storage Drive which size need to more than 8GB or above. 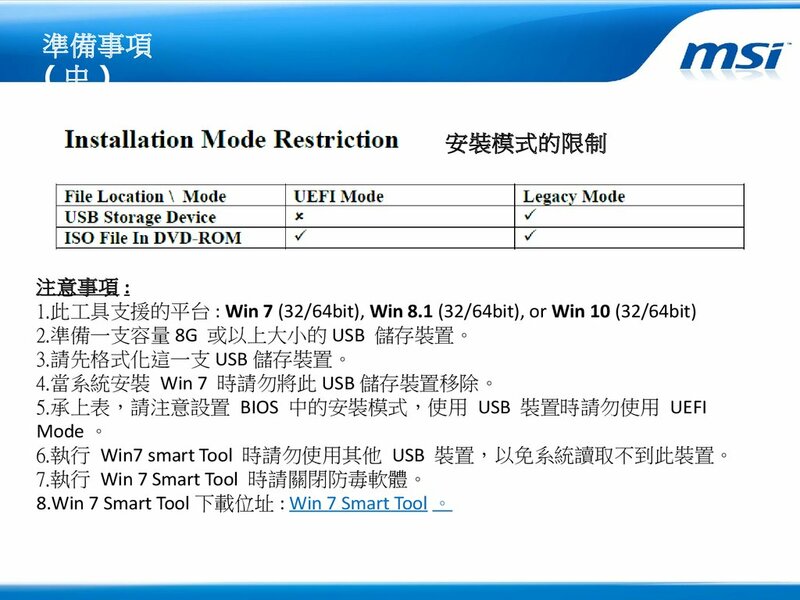 3.The USB device will be formatted. 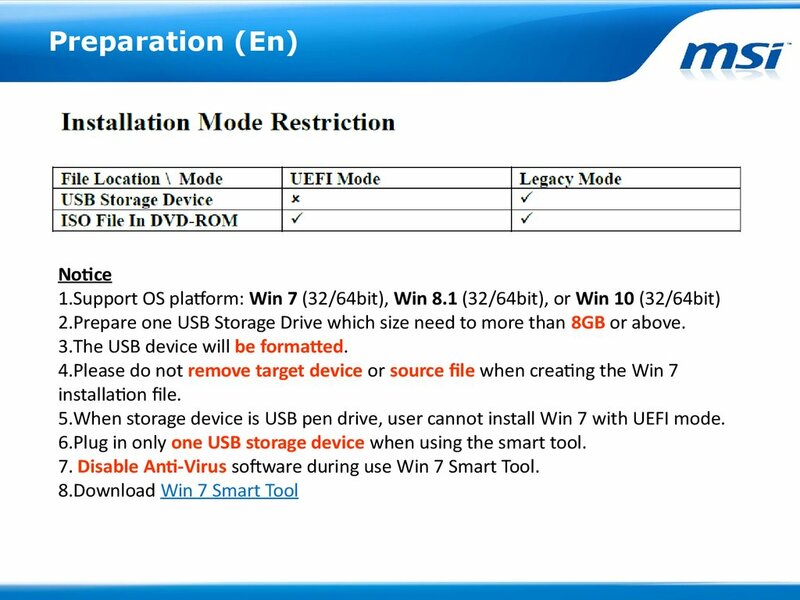 5.When storage device is USB pen drive, user cannot install Win 7 with UEFI mode. 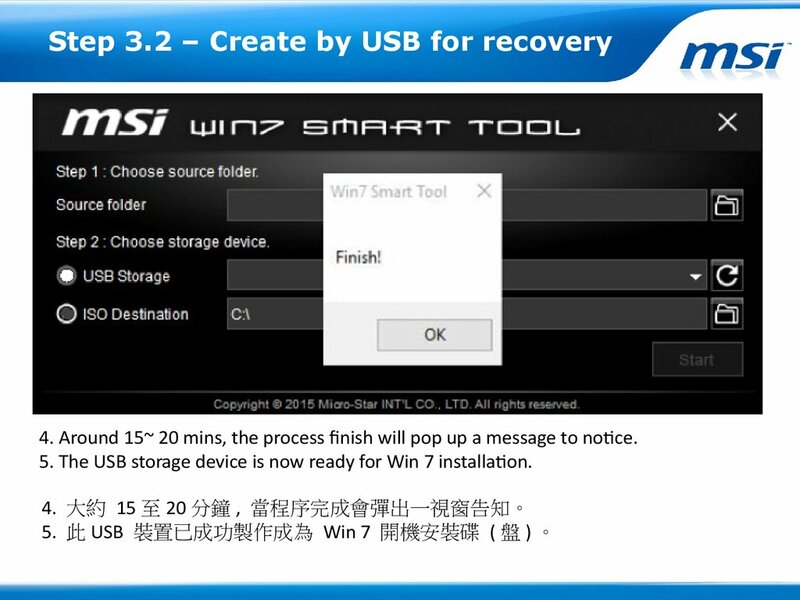 6.Plug in only one USB storage device when using the smart tool. 7. 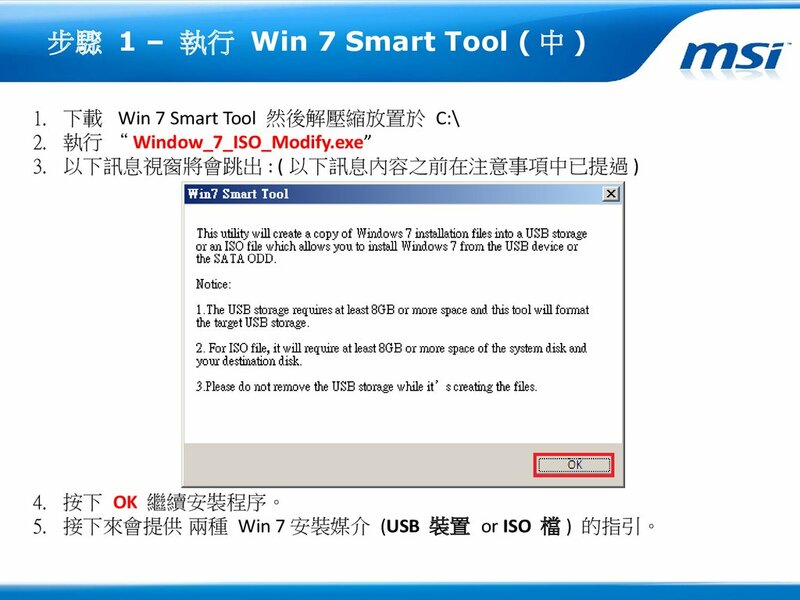 Disable Anti-Virus software during use Win 7 Smart Tool. 2. 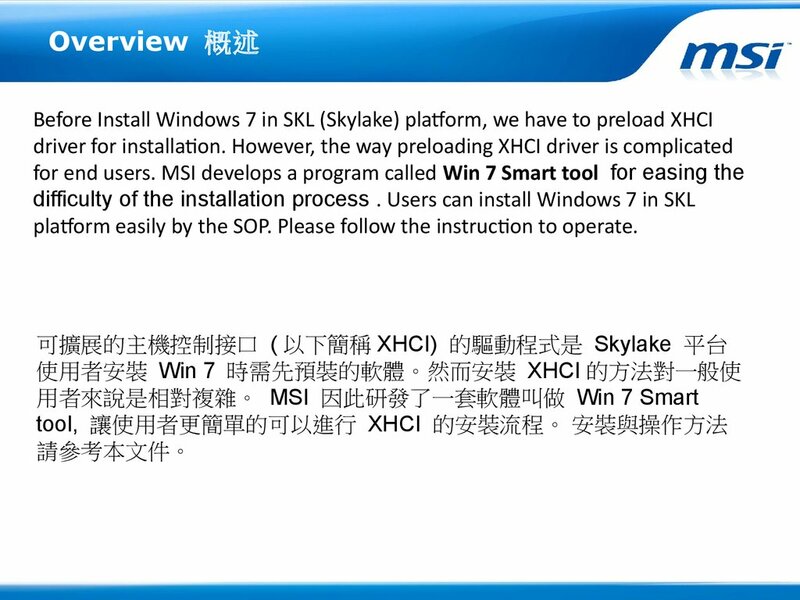 Execute the program “Window_7_ISO_Modify.exe” in the folder. 3. 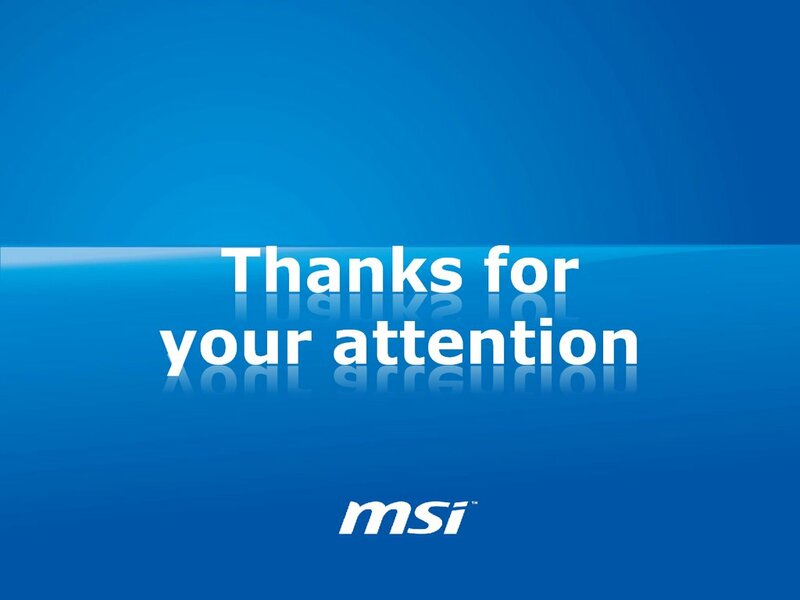 It will pop up a notice message to remind again. 4. Press OK to continue the process. We will guide you in next page. 1. 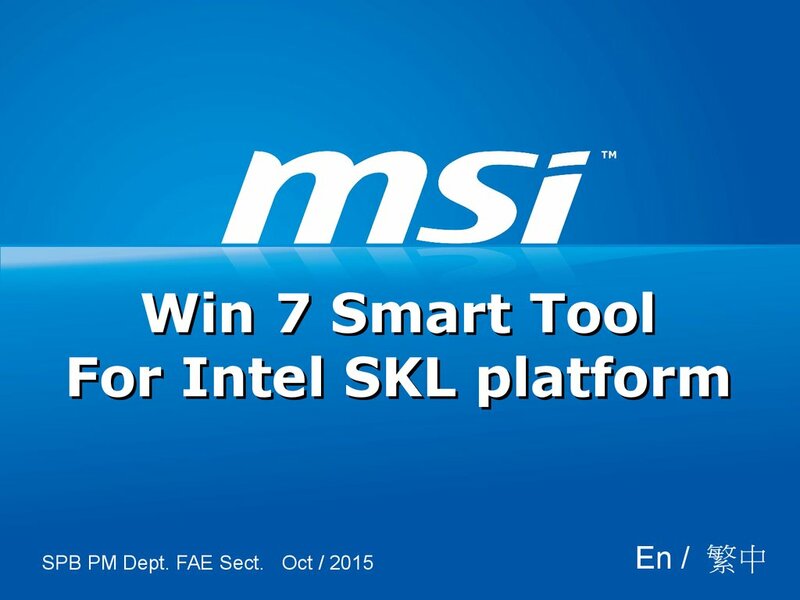 Choose Win 7 Install source folder. 2. Select ISO Destination location. 3. 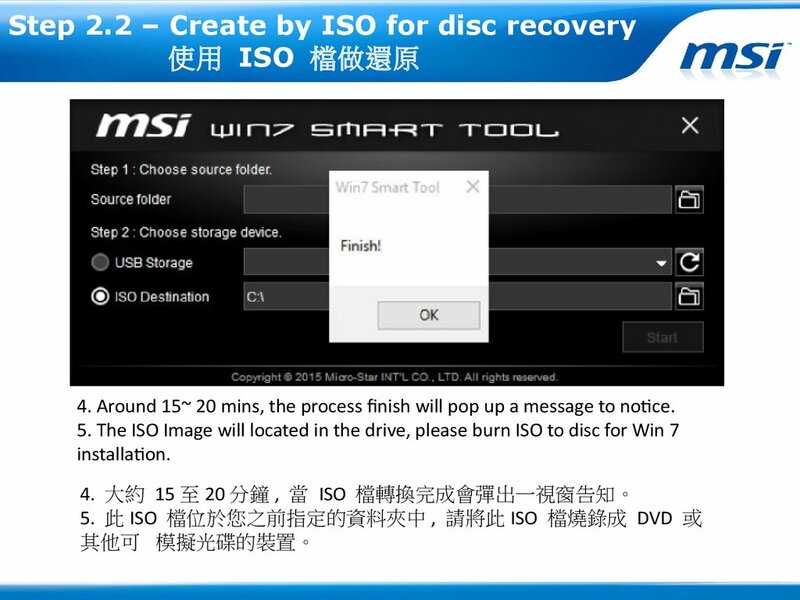 Press “Start” to create ISO file. 4. Around 15~ 20 mins, the process finish will pop up a message to notice. 3. 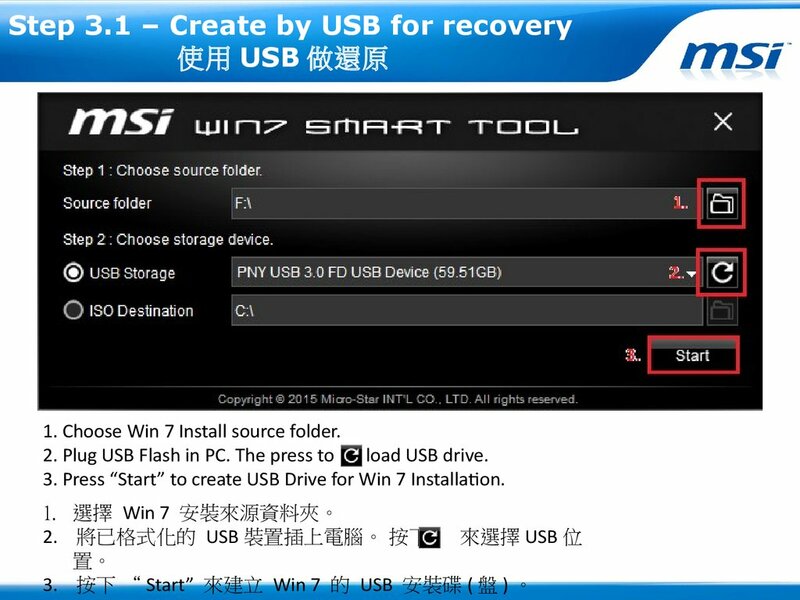 Press “Start” to create USB Drive for Win 7 Installation. 5. 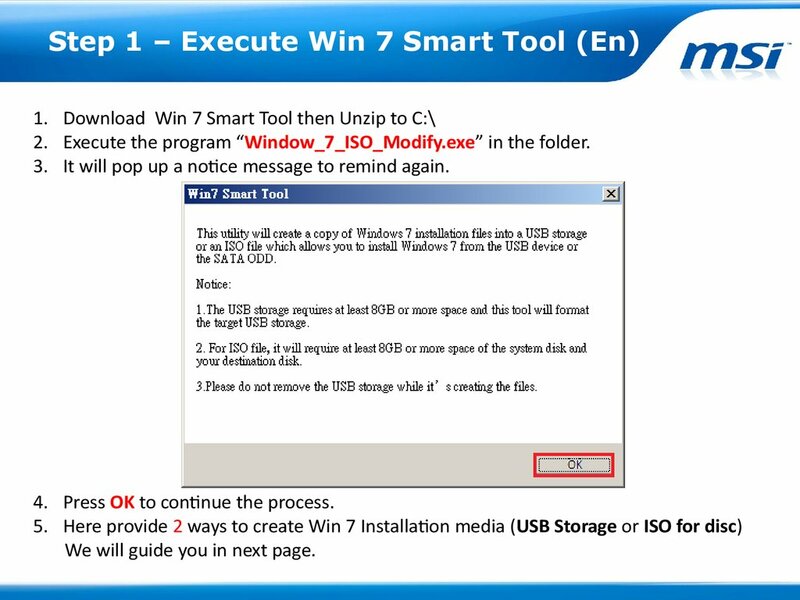 The USB storage device is now ready for Win 7 installation.